If you are looking for information about the lap band, Encino is the best place to start. The medical facilities in and around Encino are some of the best in the country in regards to surgical weight loss. If your body BMI is at least 35, you might be suffering from various health problems and can benefit from a lap band. If you find that you are a candidate for the lap band; Encino doctors like Dr. Feiz have all the latest technology, which should help you lose weight effectively. The lap band is a device with an inflatable balloon that connects to a chip implanted underneath the skin. It will help reduce the size of your stomach so that you will be less hungry, thereby allowing you to lose weight. While it may sound uncomfortable, most lap band Encino patients claim that they really don’t feel anything at all. Choose a good, skilled doctor like Dr. Feiz, so that the discomfort will be kept at a minimum. 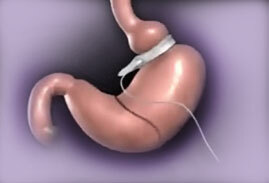 Laparoscopic gastric banding was approved by the FDA in 2001. It is ideal for individuals who have obesity and other health problems, such as diabetes or high cholesterol. If you have tried other methods of losing weight and weren’t successful, then you need to research the lap band. The benefits of this procedure include a short operative time, ease of performance, no stomach stapling, and weight loss. It can also be an affordable solution, which is a good thing since you will need to go back every few months for adjustments. This is another reason why you need to choose a lap band Encino doctor with a lot of experience: your band will need to be adjusted regularly as you lose weight. Overall, this is a great surgical procedure that is relatively safe and highly effective. Just as long as you are careful with your choice of a lap band Encino surgeon, everything should go well.